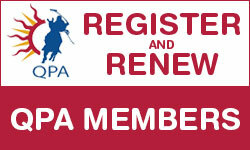 The Queensland Polo Association’s annual membership year is from the 1st January expiring on the 31st December each year. 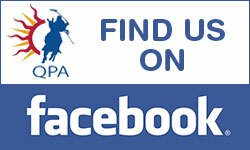 If you would like to register with the Queensland Polo Association you can do it through our online registration system available by clicking on the Membership tab at the bottom of every page. Our online registration system allows members and clubs to view their membership status online any time online. When you register your memberships are activated instantaneously. It is compulsory to hold a playing membership from an affiliated club if you intend to play polo in Australia as this covers the player for Insurance on receipt of payment, you can obtain a copy of this policy from the Australian Polo Federation under the contacts tab. If you are renewing your membership, please ensure you are renewing with the correct club/membership and please take the opportunity to update your personal details. Please be advised that we recommend new players to contact the club first for prior registration approval as in the unlikely event that you are not accepted and require a refund, your payment will be refunded after deducting a 6% administration charge. By making a submission for membership the applicant agrees to be bound by the Australian Polo Federation Application Terms and Conditions as agreed upon at registration.